Beagles are a beloved pet. 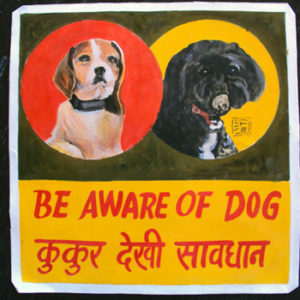 This beagle and his black friend are hand painted in a pair of dramatic circles by Sagar. 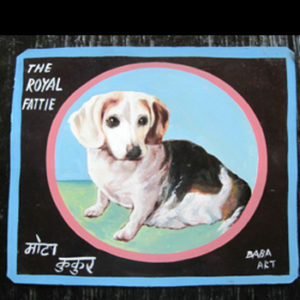 This lovely Beagle named Annie Hall apparently has a weight problem, hence her moniker ‘The Royal Fattie’. This little beagle looks just right to me. 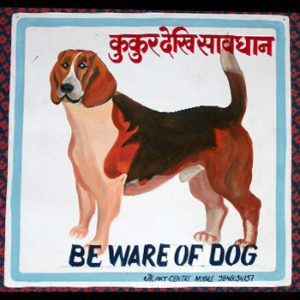 This extra-large (18’x18′) beagle is by JK of JK arts in Pokhara. This portrait of the Hungry Hazel is by Nara. This is typical of his ‘dog’s dog’ style of painting and is dramatic with the vibrant blue background characteristic of Nara’s work. 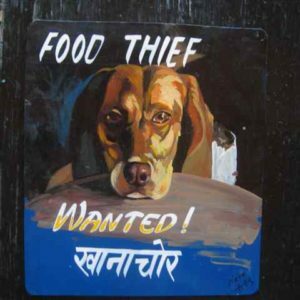 This portrait of Hazel the Hungry Beagle is by Sanjib Rana. It is stunning in person, a true work of art. I can have the lettering painted over on this one if you would prefer. Sanjib paints using acrylics and this one cannot be put outdoors. 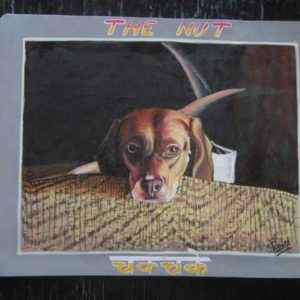 Annie Hall the Beagle is an odalisque in her portrait by Sufraj Khadka. This is a charming portrait of a classic beagle. 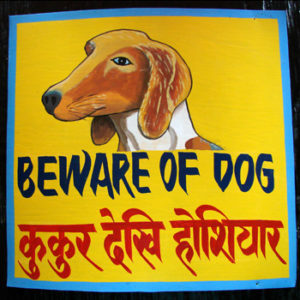 This Beware of Corgi sign is of Marley, a Beagle/Corgi mixed breed dog. 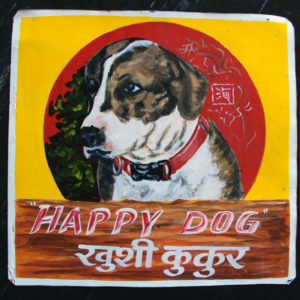 Hand painted by Sagar, it has Marley painted in a dramatic red circle surrounded by a yellow background. 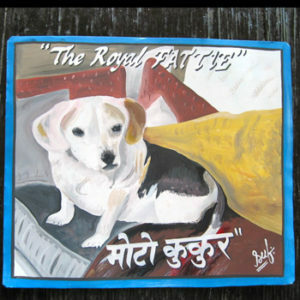 Purna painted this folk art beagle at my request after I saw a local veteranarian shop that featured this cute naive beagle art.